Recently returned from the Hermes Hotel. We are able bodied people therefore able to walk, we read the brochure which stated that it should not be chosen by people being averse to walking. We were greeted by Diana and later Sebastian (the owners) who made us feel welcome. The other staff were also pleasant especially if you tried some pigeon Greek with them. The pool was great and the views superb. Will certainly return in the near future. Thanks to all the staff for making it a truly memorable holiday. The Hermes hotel main downfall is its location as is it situated at the back of the resort up a long hill. We thought walking up the hill on the main road to the village was dangerous at night because there was no path. There was an accident during our stay which was nasty. The rooms are fair and the breakfast mean and rubbish. A nice swimming pool but the location was the killer and we would not return here as it was a 15 minute walk back up the hill from the beach and the main selection of tavernas. Other clients at the hotel were passing the same observations. 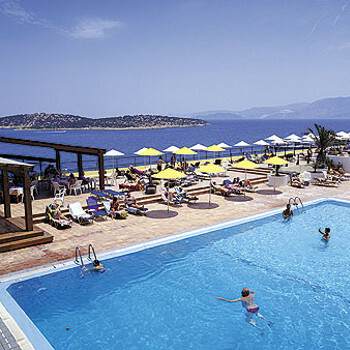 The Hermes Hotel is located just off the main road up a long and torturous hill at he back of the resort of Kefalos. The position was awful and the walk back to the hotel was hard and unpleasant. The food at breakfast was mean and not worth bothering about. Nice rooms provided you are not at front of hotel where traffic noise could be a problem. we can honestly sat it was not for us mainly because of its position and long arduous walk to and from the beach and amenities. Most aspect of the Hermes hotel were good except for the mean breakfast. It has the largest swimming pool in Kefalos but it open to the locals who on occasion take it over. The big drawback is it location is situated just off the main road at the back of the resort in an elevated position. It was a 10 minutes walk down to Kefalos shops and tavernas but a 20 minute plus struggle back up the hill and the best part of the beach was even further. It got very tedious and in the heat of the day tiring. For this reason we would not return to the Hermes Hotel and can also suggest to anyone thinking of booking if location is important give it a miss but if that does not worry you then The Hermes Hotel is nice and worth considering.